A Southern Grace: heeeeeere's harold! 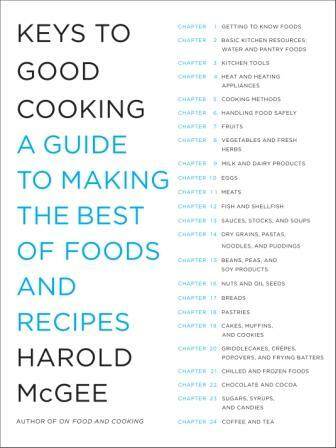 This is a bit of a different post for me, but when I was offered the chance to read and review Harold McGee 's new book The Keys to Good Cooking and promote his book tour, I jumped at it. Leapt. Pounced, if you will. Preheat plates to serve hot meat dishes, especially beef, veal, and lamb. 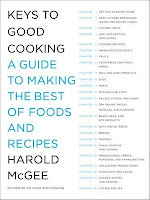 As they cool below body temperature, meat fats congeal and the gelatin from connective tissue in long-cooked cuts becomes solid and rubbery. Store potatoes at cool room temperature and in the dark, to prevent greening. At warm room temperatures, potatoes will sprout and decay. At refrigerator temperatures below about 45°F/7°C, they convert some starch into sugar and can brown too quickly and scorch when fried. Get excited, folks. This is gonna be a fine read.